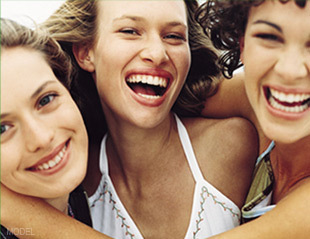 Dental braces do so much more than simply straighten your teeth. Straight, strong teeth increase confidence while decreasing your chances of developing gum disease and bone loss. Dr. Arleen Azar-Mehr is a Los Angeles orthodontist in the San Fernando Valley. A third generation dentist, Dr. Azar-Mehr is highly skilled in all aspects of dentofacial orthopedics and orthodontic treatments. She is committed to the art and science of moving teeth and dedicated to helping you and your entire family achieve beautiful smiles, facial balance and healthy teeth and gums that last a lifetime. The cost of braces varies according to individual treatment needs and the personal preferences as to the type of braces (metal, ceramic, invisible braces) and placement. Only after an examination can a Los Angeles orthodontist like Dr. Azar-Mehr provide you with an accurate figure. The good news is your first visit is free. The great news is there are a variety of payment plans to ensure that everyone can afford healthy teeth and gums. There's a lot to see and do in Los Angeles; seeing an orthodontist about dental braces probably isn't at the top of your "must do" list, the middle of your "might do" list or even at the bottom of the "should do" list. It should be. Braces aren't what they use to be. Today, they sport a variety of fashionable colors and they are available in metal, gold, or ceramic. There are even invisible braces. Look better. Live healthier. Learn more.